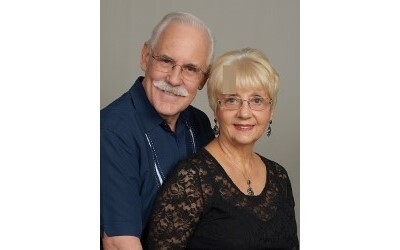 Since 1993 Jim and Phyllis have been serving as missionaries in the former Soviet Union. The work has included evangelism, planting churches, founding Bible schools, training men for ministry, and translating theological and doctrinal Bible studies into the Russian and Ukrainian languages. The purpose of James F. Myers Ministries is to provide sound Bible teaching in places where there has been limited access to such doctrinal teaching, and to train spiritual leaders who will become pastors, teachers, evangelists and missionaries. The work has been centered in Kiev, Ukraine since 1996, but has also included work in Russia, Kazakhstan, Belarus, Moldova, Zambia and Brazil. The primary focus of the ministry is Word of God Bible College which was founded in 2001. The Bible school’s curriculum is vigorous, including two years of Greek and Hebrew, a survey of every book in the Bible, systematic and biblical theology, as well as courses in hermeneutics, apologetics and other subjects. Many of the courses are taught by American pastors who come to Kiev to teach two-week modules of 30-40 hours of classroom work. As an outgrowth of a home Bible study, Word of God church was planted in Kiev in 1999. The church serves both as a model and a training facility for training leaders and workers through the worship services, the verse-by-verse and categorical Bible studies during the week, and the several outreach ministries in evangelism and Bible teaching for children, adolescents and adults. Jim also regularly teaches courses in other seminaries and Bible schools around Ukraine. The primary goals of our ministry for the coming year are to develop advanced courses for our Bible college graduates, to help graduates develop new ministries, and to get more theological material translated into Russian. Our greatest current need is to find a building suitable for both church and school. In addition to the ministries mentioned above, the Lord has also opened other doors for ministry in Zambia and Brazil, where we put on Bible conferences, pastors&apos; conferences, and evangelistic crusades.